We are friends and neighbors. We are a community. We believe in a government for all the people. 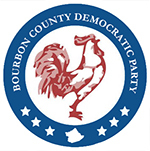 Bourbon County Democrats believe in making a better world for all Kentuckians. We want our community to thrive and grow, providing good jobs and quality education. We are proud of our town, state, and nation. We fight for the causes of fairness, equality, and opportunity for all. We elected new officers and executive committee members in April 2016 at our county convention. 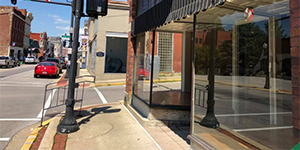 Pictured above, front row: Kathy Carter, Charlie McCann, Donnie Foley, Doris McFarland, Suzann Shaver, Pat Wilson, Emily Ferguson, Valerie Sipes, Faith Dailey and Randy Dailey. Back row: Jerry Alleyne, Bob Fuller, Paul (Clancy) Robinson, Martha Overly, Tom Moore, Emery Caywood IV, Vic Ferguson, Tyler Sipes, Mark Offutt, and Logan Johnson-Mullins. They will serve from 2016-2020. One of the most important things we do is support local Democratic candidates. During her 2016 campaign for Kentucky House District 72 Representative, Sannie Overly visited with Bourbon County Residents during our public Fish Fry. 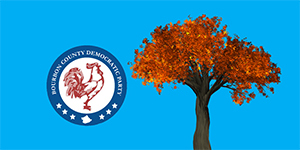 Bourbon Democrats’ Fall Fundraiser Set for Sept. 25th: You’re Invited!